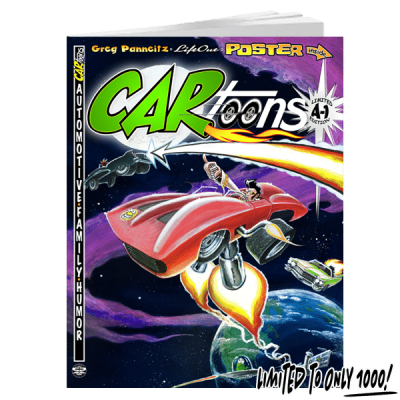 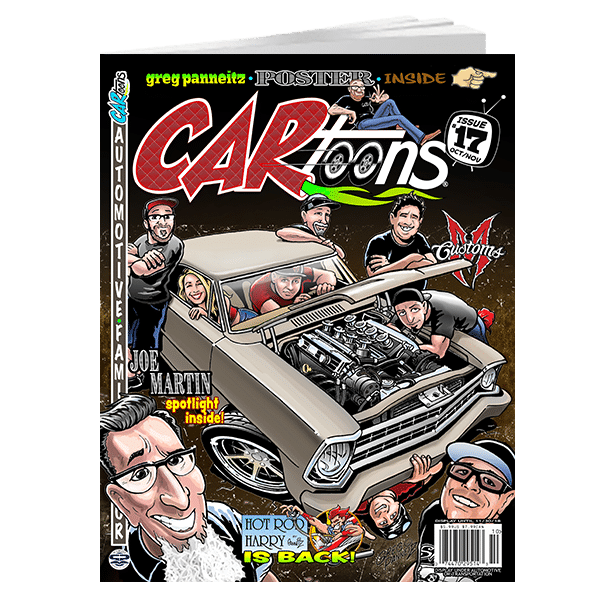 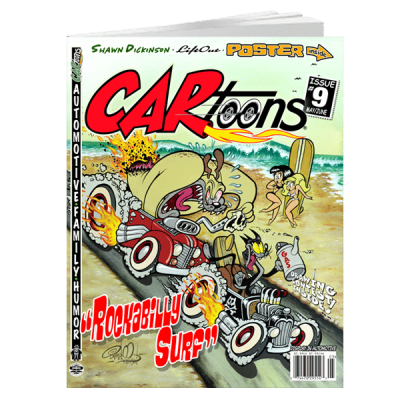 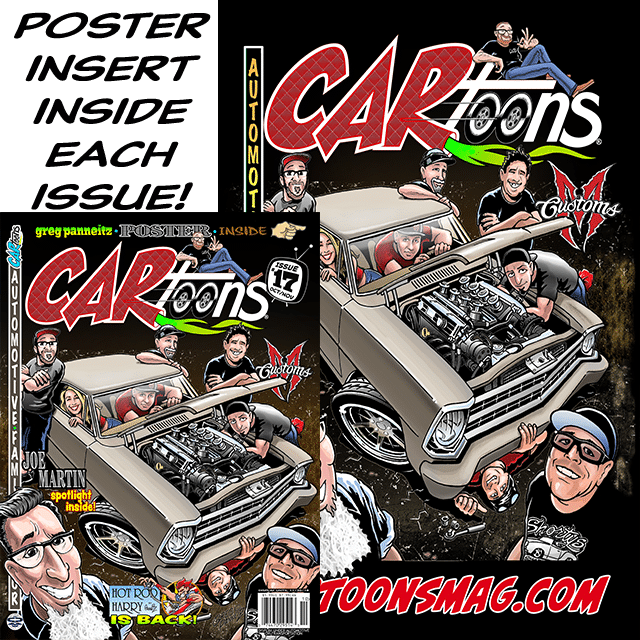 Purchase your print copy of the newly revived CARtoons Magazine, Issue #17 now! 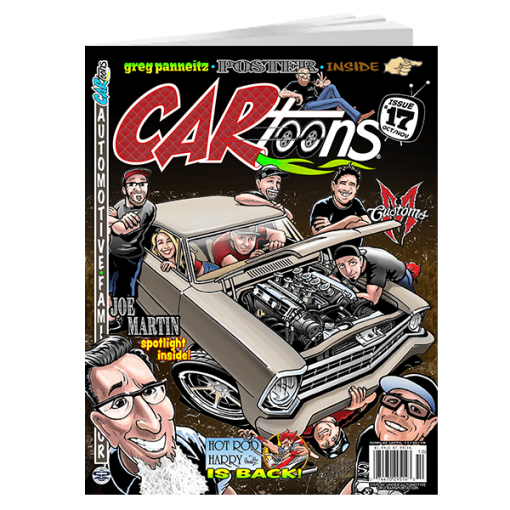 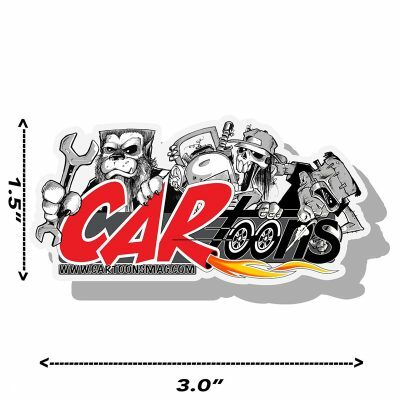 This Magazine includes a Spotlight on Joe Martin from Martin Bros Customs. 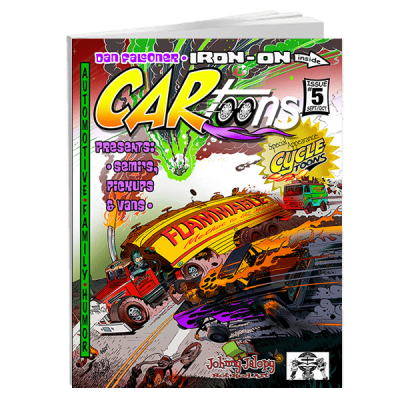 Cover & Poster Artwork by Greg Panneitz featuring the Iron Resurrection Crew!. 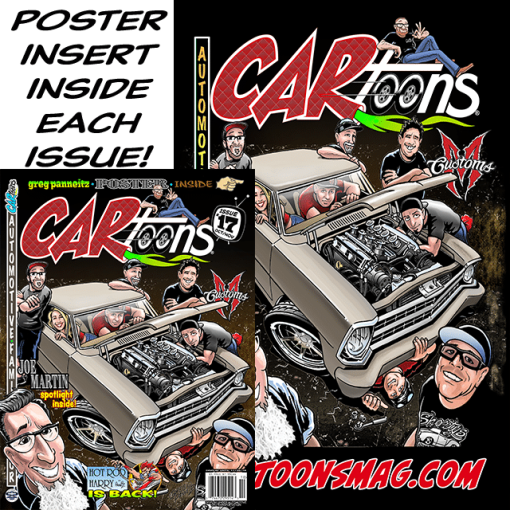 Special Guest Appearances by Horny Mike & Shannon Aikau from Counts Kustoms!